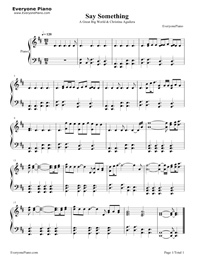 Free Say Something piano sheet music is provided for you. So if you like it, just download it here. Enjoy It! Say Something is a song by American duo A Great Big World. The song was originally released on February 8, 2013 on band member Ian Axel's solo album This Is the New Year but went largely unnoticed until it was released as the second single on the band's debut studio album, Is There Anybody Out There? (2014), on September 9, 2013. The single was re-recorded again to feature vocals from American recording artist Christina Aguilera, after she heard the song and loved it. The version featuring Aguilera was released on November 4, 2013. Say Something is an indie pop piano ballad about a breakup, where the lover is implored to make a statement that could potentially reverse plans, with the singers expressing humility, sadness and regret. The song received critical acclaim, being praised for its powerful lyrics, the emotional production and Aguilera's delicate vocals added to the mix. To promote the song, a music video for the re-released version was premiered on November 19, 2013. The trio also performed the song during a number of occasions. Hey could you upload rebel love song by black veil brides? 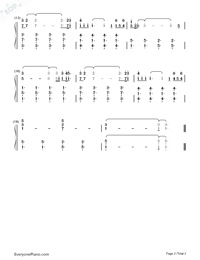 If you want add lyrics on unmbered musical notation, you can use our EOP NMN Master, and if for stave,it cannot add now, I am sorry for this. You can tell us the wrong place, if so, we will fix it. how to download the eop file ...??? I need easy to follow songs what would recommend? 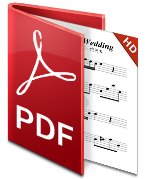 Can you upload the sheets of "Liz on top of the world" from Pride and Prejudice? Ok, we will upload it soon. Sorry, we can only do "Can I Have This Dance" which will be uploaded later. 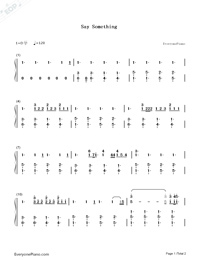 Can u find Iranian music sheet called 'Na Naro' by Sirvan Khosravi? ?